Sloan Wombwell is a senior at Oak Mountain High School. He will be attending the University of Alabama this fall. He has been a scout for several years and earned his Eagle Scout in August of 2019. Available for babysitting and dogsitting, call 205-515-6853. 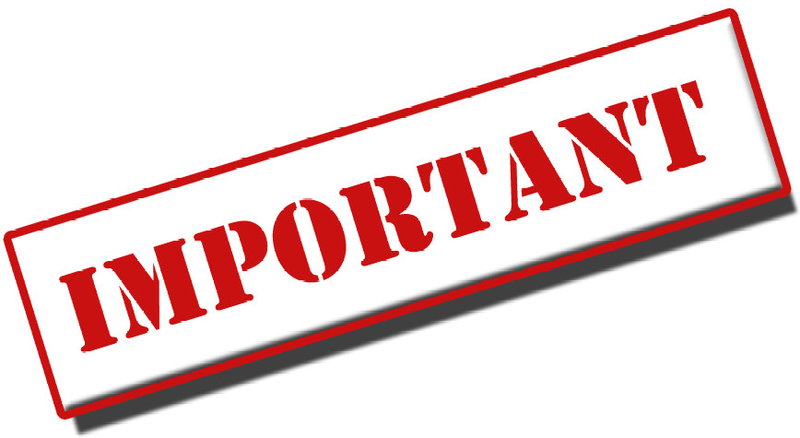 Eagle Point HOA Dues $275.00 are due tomorrow, Thursday, January 31, 2019 by close of business day. Avoid the $50 late fee charge! If you would like to purchase a bow to put on your mailbox in honor of Sargent Carter, the EPHOA office now has a supply of the bows. The cost of the bows are $15 and all proceeds are going to the Carter family. Thank you to all the ladies in Eagle Point that have been hard at work making these bows in his honor. Please keep bows up through February 15. You may pick the bows up at 4000 Eagle Point Corporate Drive. The Birmingham Police Department and surrounding community suffered a tragic loss on Saturday night when Sergeant Wytasha Carter, age 44, was killed in the line of duty. This hits especially close to home, as the Carters are residents of Eagle Point. First and foremost, consider the Carter family in your prayers. There will be a viewing/visitation in Trussville on Friday and the funeral on Saturday at The BJCC. Much of what an HOA does feels insignificant in light of this kind of tragedy. We are reminded that we are neighbors who can and should be there for each other in times of need. The Board has been in communication with the Carter family to determine how best to help them in the coming days, weeks, and months. The HOA will be honoring Sergeant Carter by placing memorial ribbons on stop signs throughout Eagle Point. We will also be sending flowers to his memorial service on behalf of the neighborhood. If youd like to donate gift cards to restaurants or grocery stores to help with the familys needs, you can drop them off at the HOAs management office at 4000 Eagle Point Corporate Drive. Part of the support were going to provide is yard maintenance for the remainder of 2019 repairs for their recently damaged mailbox. If youd like to contribute towards this effort, you can drop off a check payable to EPHOA and Sgt. Carter in the memo line. We will communicate future efforts as they are determined. In the meantime, take a minute to introduce yourself to a neighbor you dont know or to say hello to someone you havent seen in a while. 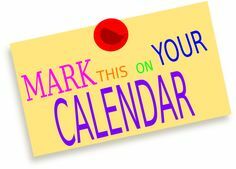 The annual meeting of the Eagle Point Homeowners Association will be held on Tuesday, January 8th at 7:00pm in the Griffin Park Clubhouse located at 206 Griffin Park Drive (formerly know as the Eagles Nest, it is the building in the middle of the 3 buildings). This is a great way to get involved in your community, meet neighbors as well as board members and to hear about what happened in Eagle Point in 2018 and plans for 2019. Representatives from the Shelby County Sheriffs Office, North Shelby Fire District and Cahaba Valley Fire District will be at the meeting. Please make plans to attend to show these first responders Eagle Points appreciation! The annual meeting of the Eagle Point Homeowners Association will be held on Tuesday, January 8th at 7:00 in the Griffin Park Clubhouse located at 206 Griffin Park Drive (formerly know as the Eagles Nest, it is the building kind of behind the mortgage company). The clubhouse has been renovated, and Griffin Park is graciously allowing Eagle Point to use the fresh space! At the annual meeting, we will discuss the past year and plans for 2019. This is a wonderful opportunity to get to know your neighbors, as well as the Board members who represent your interests. It is also your chance to be heard! 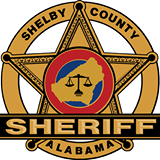 We will be hosting a representative from the Shelby County Sheriffs Office. Representatives from North Shelby Fire District and Cahaba Valley Fire District also plan to attend. Please make plans to attend to show these first responders that Eagle Point welcomes their involvement! Your HOA hopes that you have an awesome and enjoyable CHRISTMAS with your family! 1st Place goes to the Belazeros at 6119 Eagle Point Circle!!! 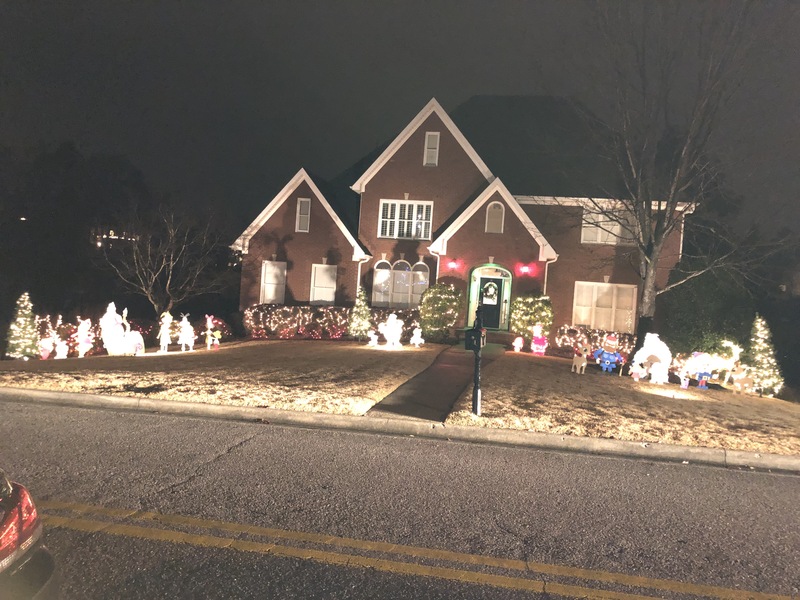 This house is worth a drive by if you have young kids or have memories of Snoopy, Rudolph and his friends and also the GRINCH. The Belazeros house tells many stories of your favorite child Christmas movies. Music is even added so make sure you roll down your windows. CONGRATULATIONS Belazeros!!! 2nd Place goes to the Inmans at 6087 Eagle Point Circle. Just around the bend from the Belazeros. This house had eye catching lights. Ms. Inman explained that she and her kids love driving the neighborhood looking at the Christmas lights. 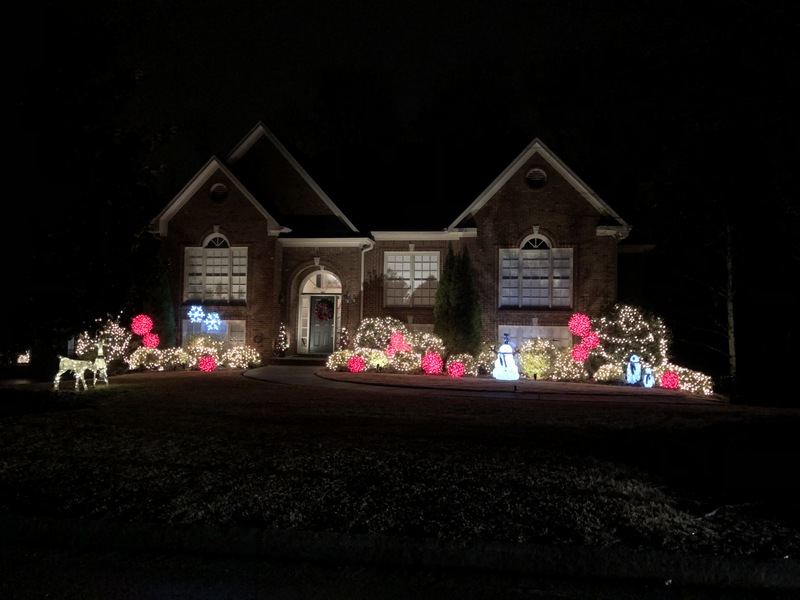 Because of this love she decorated her bushes with white lights, added BIG red balls that are well-placed and self-made. Then to finish added cute penguins, snowmen and snowflake lights. CONGRATULATIONS Inmans!!! 3rd Place goes to the Locks at 1159 Eagle Park Road. The Locks opened the door thinking the wrong package was being delivered to their house. The shock and excitement from family members including their dog makes the Christmas Contest a lot of fun. The Locks house was decorated very traditional with large lights lighting their sidewalks; garland and lights were wrapped very cute around their mailbox and light pole; 2 Soldiers stood watch at the bottom of the stairs with a beautiful lighted Christmas tree and wreaths in all the windows. CONGRATULATIONS Locks!!! Special THANKS goes to TACO MAMA, THE LITTLE DONKEY, and CHICKEN SALAD CHICK for their donations! Thanks Eagle Point for making the drive through the neighborhood pleasant and fun! There were so many beautifully decorated houses it was really hard to decide. Cookies with Santa is TODAY from 4:00-7:00 pm! Those who have volunteered to bring cookies make sure you have them to the HOA office by 2:00 pm. The Fire Department will bring their NEW Fire Truck at 5:30 pm for the Lighting ceremony! Hope everyone plans to attend. The Carriage Rides will continue as scheduled. Eagle Point Parkway will be BLOCKED off today between the hours of 3:30 pm and 7:30 pm. If attending the Cookies with Santa event, Carriage Rides, or those that live off the Parkway, tell the deputies to be able to get through. Please drive with extra caution when on Eagle Point Parkway and watch for the horse and carriage. Have Fun Tonight EAGLE POINT!!!! Please look in your mailbox for your Annual Eagle Point Homeowners Association Dues mailing. You will find in this mailing a letter from the HOA President with the proposed budget for 2019, your annual invoice, and car decals (to be put on the bottom left of your cars back window). On the invoice, please, double check your contact information and make sure it is correct. Please list your email if you would like to receive the HOAs weekly communication in the form of a newsletter, The Eagle Pointer. This is a great way to know and understand what is going on in the neighborhood! The Annual dues this year are $275.00. You will find an invoice that lists the 2018 EPHOA dues and also a list of other fees if you are not up to date. Return your payment with the invoice by mail or pay online by going to ephoa.org and clicking on the Pay Dues Online link (left side of HOME page). Payment must be received by close of business on Thursday, January 31, 2019. Payment after this date and time will be considered late and your next invoice will include a $50 late fee. If you do not receive this mailing by next week, please contact the HOA Office at eaglepointhomeowners@gmail.com. You are responsible for payment whether you receive the mailing or not. Starting this week, SWWC will have a contractor, Spectrum Environmental, performing routine maintenance work on sewers in the south end of Eagle Point. Spectrum will be cleaning the sewer mains with an internal jet-washer, and then video inspecting the pipes. The sewer lines affected are those on the south end of former golf course. There will be no digging involved with this work. Spectrum will work during normal business hours, M-F. Eagle Point residents should not expect any disruptions in their service just a truck or two parked over a sewer manhole from time to time. It is possible, but not assured, that they may hear a lower-floor toilet gurgling as the sewer cleaner can create a slight vacuum inside the sewer. If so, the resident can simply flush that toilet when the sound stops, and the toilet will re-fill to normal operation. Dont forget about the Cookies with Santa event this Sunday, December 9th from 4PM-7PM. Reservations are not required for the cookies, just come and have a MERRY time!!! There are still reservations times available if you would like to ride the carriage. To schedule your carriage ride email the EP Admin at eaglepointhomeowners@gmail.com. Please list your name, address, requested time, reservation to include no more than 2 adults and the number of children (list childrens ages). High school kids can get GIVE ME FIVE service credit hours for school. Email the Admin at eaglepointhomeowners@gmail.com to sign up to volunteer with Cookies with Santa and the Carriage Rides!! Christmas decorations are popping out all over Eagle Point. Remember your house needs to be decorated by December 16 if you would like it to participate in the Christmas Decoration Contest! Winners will be awarded gift cards and announced in the Eagle Pointer. Today's Tree Lighting Ceremony has been POSTPONED due to SEVERE WEATHER. We have rescheduled the Tree Lighting event for Sunday, December 9TH to coincide with Cookies with Santa!! The First Annual EaglePoint Tree Lighting ceremony will be Sunday, November 25 at 6PM. (changed due to the AU vs. AL game). Santa will also be arriving on a Fire Truck thanks to North Shelby and Cahaba Valley Fire. Come enjoy Donuts, Cider and Hot Chocolate with your neighbors as we make Eagle Point Light UP!!! Santa Claus is coming to Eagle Point on Sunday, December 9 from 4PM-7PM. He is excited about all the sweet kids that will hopefully come and eat cookies with him! Reservations are not required for the cookies or SANTA, JUST come and have a MERRY time. If you would like to bring cookies, please email the Admin at eaglepointhomeowners@gmail.com. This rainy weather needs to go away. The Eagle Point Homeowners meeting has been cancelled due to the Veterans Holiday on Monday. 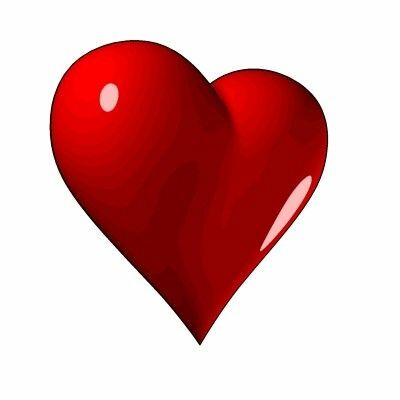 Please have a safe day with your loved ones. Remember the sacrifices of those that have served in our MILITARY so that we can live free. The HOA is thankful for those men and women who have put themselves in harms way so that our families can remain safe. THANK YOU and GOD BLESS AMERICA!! Eagle Point HOA will have the first ever tree lighting ceremony on Saturday, November 24th at 6PM. Please mark your calendars to attend with your family and friends. This will be a fun activity to get you out of the house after the Thanksgiving holiday! Location will be the lake in front of the Eagle Point HOA office at 4000 Eagle Point Corporate Drive. Be on the look out in the coming weeks for the signs and newsletter about the Eagle Point Cookies with Santa and the upcoming CARRIAGE rides on December 9th. Once the signs go up in the front of the neighborhood, make sure you email the admin to reserve your spot for the carriage ride. To reserve your spot make sure you also tell the admin what kind of yummy cookies you will bring!! Don't forget about the Eagle Point Christmas Decoration Contest this year!! The Eagle Point HOA will be sending out members to find the best decorated houses and yards in the neighborhood. Winners will receive gift cards and an awesome write up in the Eagle Pointer. Cut off for decorations will be Sunday, December 16th. Be creative, be obnoxious and be bright but hopeful not to Griswald!! Have a great weekend and hug your loved ones!!! The HOA hopes everyone had a fun and safe Halloween Trick or Treating with family, kids and friends. 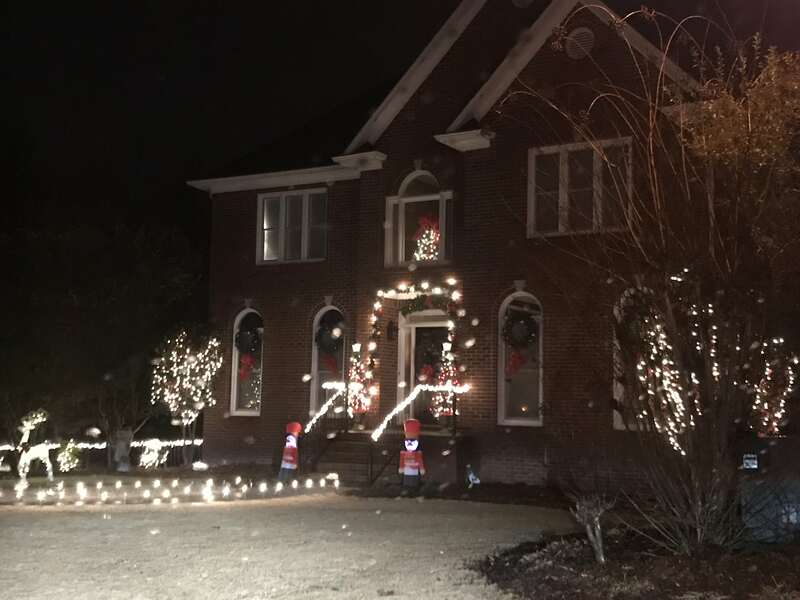 The decorations were evaluated on creativity, placement of decorations, and lighting. The Harris had unique and creative decorations to go a long with lighting. Most of their decorations were self made and a lot of hard work went into their designs. Beware of their yard because you could end up locked behind bars!!! The Belazeros just moved to Eagle Point in June and what a way to get involved. Their house had several grave stones, spiderwebs, a hanging zombie that moved, and a fun haunted blow up tree. Plus, the different color lighting and fog made for a fun and cute design. Dont venture into the cemetery, who knows what might grab at you!!! The HOA extends a special thanks to The Little Donkey and The Big Bad Breakfast for sponsoring our contest. Gift cards were awarded to the winners. Please support these businesses who continue to be friends of Eagle Point! Get ready for the Eagle Point CHRISTMAS decoration contest!!! The Eagle Point HOA meeting has been cancelled tomorrow Tuesday, September 18, 2018 due to a busy time of year and limited space to have the meeting. We will meet next month on Monday, October 8. Dont forget about the Eagle Point Garage Sale on Saturday, September 29th. Be sure to clean out your closets, house and garage for items that another might find useful. The HOA will take care of advertising but make sure you get the RED BALLOONS for your mailbox. Have fun Eagle Point and SALESALE.SALE!! The Dumpsters will also return on Friday, September 28-Sunday, September 30. Hopefully, this will help clean/remove more items from your house when getting ready for the garage sale!! The Eagle Point Homeowners meeting has been cancelled for tonight. The meeting is rescheduled for Tuesday, September 18th at 6PM. The meeting will be held at the EP office located at Your Office USA, 4000 Eagle Point Corporate Drive. See You then!!! Waste Pro apologizes but their trucks have had several equipment issues and they will not be able to finish the Eagle Point Recycle Collection today! Waste Pro will add an additional truck in the morning and should finish picking up Eagle Points recycle collection by early am tomorrow. Please make sure that your recycle cans are at the street for the truck tomorrow morning. However, this does not give you a pass to leave the cans out until Thursday/Friday. Make sure your garbage cans are removed from the street on the day that garbage or recycle is collected. Several local Highschools have football games tonight. Please drive safely and be careful of students and those walking to the games! The HOA office has had several complaints from construction workers in Griffin Park about residents almost clipping them because of their speed. Please be considerate when you take the route through Griffin Park and when driving throughout Eagle Point. Also, remember when your neighbors are walking/running on Eagle Point streets, no one likes to have a car mirror come inches from their face or body. The speed in Eagle Point and Griffin Park is 25, in case anyone needs to be reminded. Everyone is guilty of speeding through the neighborhood. It takes effort to look at how fast you are going and actually keep your speed at 25. Please make the EFFORT to SLOW DOWN! Get ready for the Eagle Point Fall Garage Sale on Saturday, September 29th. Look around your house, closets, basement and garage for items that you are not using! Remember your JUNK might be someones TREASURE! Red balloons for your mailbox are a must! The Eagle Point BIG DUMPSTERS will be back to help save you a quick trip to the Dump and for you to throw away items when you clean out your house! We hope you have a wonderful weekend in this HOT weather!! The Eagle Point Homeowners meeting will be Monday, August 13, 2018 at 6PM. We are very thankful for The Hampton Inn in Lee Branch for always hosting our meetings. There will be a representative from the Shelby County Sheriffs Office to answer any questions residents may have. The Eagle Point Fall Garage Sale will be Saturday, September 29th. Look around your house, closets, basement and garage for items that you can make some instant $$$! Dont forget the red balloons for your mailbox! The DUMPSTERS will also be back on this weekend for any items you need to throw away and to save you a quick trip to the Dump! Please do not use the pool parking lot to park your cars if you are not a member! There are limited spaces for members to park their cars. The POOL is NOT for PUBLIC PARKING! My name is Ulysses Fogle and I want to invite you to a one-hour Back to School Concert in our driveway at 1210 Eagle Park Rd on Monday, August 13, 2018 from 6PM-7PM. We had a Christmas Concert that was excellent and our neighbors are ready for this next one. Please feel free to come join us for this fun Driveway event and meet more Eagle Point residents!!! The band is called The Rubber Band Effect and my son is a member of the band. They specialize in R&B, Pop, and Gospel music. HOPE TO SEE YOU THERE!! Sweet boy kitten at 355 Talon is looking for its owners. Please call 205-980-0332 if this kitten is yours. Back to School Call to Prayer is this Sunday, August 12 at Heardmond Park Stadium. Gates will open at 4:30PM and service will be from 5PM-6PM. The Shelby County Sheriffs Office has issued three arrest warrants for Bobby Earl Townsend for Unlawful Breaking and Entering of a Vehicle. The video submitted by one of the victims was invaluable in identifying the subject. We are currently attempting to serve those warrants. The next HOA meeting will be Monday, August 13 at 6:00PM and location will be the Hampton Inn at Lee Branch. There should be a representative from the Sheriffs Office at the meeting to answer residents questions. The next Eagle Point Garage Sale will be Saturday, September 29th. Clean your house, car, basement, garage or any stuff left at your house by random teenagers and price it to sale!!! Also, the dumpsters will be back on the weekend of September 28-30 to help with any left overs from the garage sale and to also help keep a tidy neighborhood! School begins next week for the Oak Mountain School system. Please make sure your cars are removed from the street and watch out for students, school buses, and student drivers. BE A GOOD NEIGHBOR! As we head into the weekend before the Fourth of July holiday, your HOA would like to remind you that fireworks are considered a noise nuisance, prohibited by our covenants. Weve had a number of calls and emails already asking us to remind Eagle Point about this covenant. Your neighbors and their pets would appreciate your consideration of this! 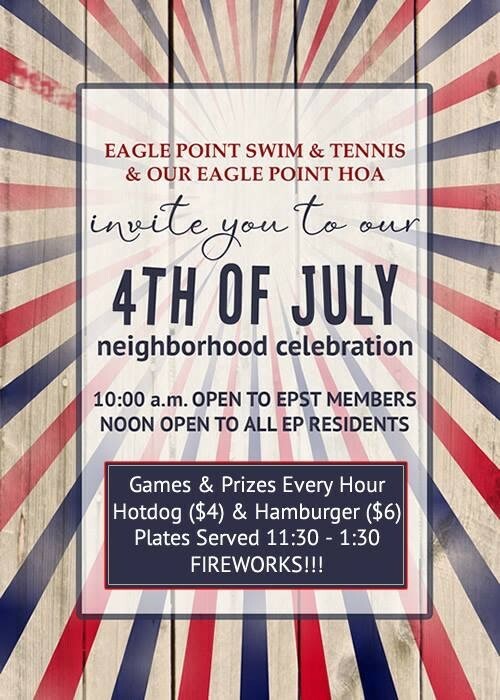 Instead of using your time and money to set off fireworks, take advantage of the fireworks show that the HOA sponsors with Eagle Point Swim and Tennis! As soon as the sun is completely down, get outside and see the show that happens near their pool. Lots of folks tailgate in Eagle Hollow Circle for a great view! 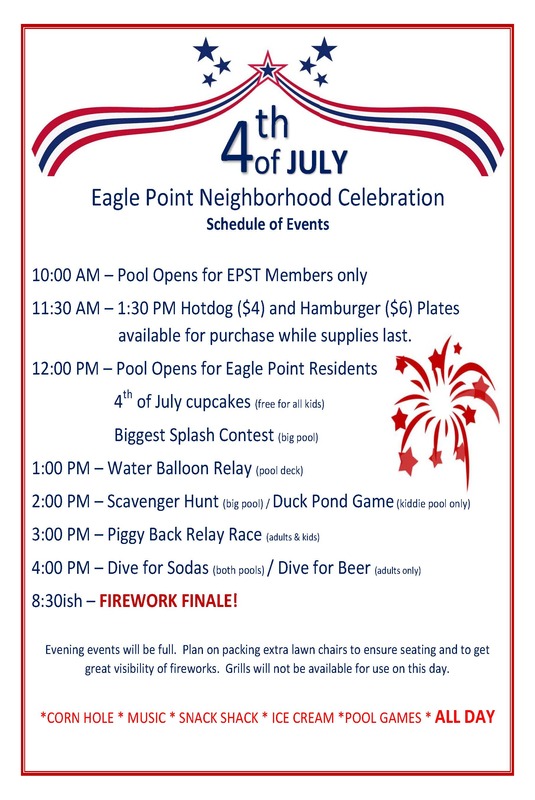 On Fourth of July, Eagle Point Swim and Tennis graciously invites resident non-members to take part in their festivities! After 12:00, non-members can come enjoy the pool, activities, food, and fireworks show. Tomorrow afternoon, your HOA is having WastePro deliver TWO dumpsters to the cul-de-sac by the Eagle Point Office Park!! Take this opportunity to clean out, but please act respectfully this week. When WastePro folks are taken aback at how Eagle Point disregarded the guidelines for disposing of things, thats pretty embarrassing. We incurred extra fees last week because WastePro had to bring an additional truck to empty the OVERLOADED dumpster and because their employee had to get out and sweep up the trash placed outside the dumpster (including a lot of broken glass from mirrors). If this week is a repeat of last week, the HOA Board will have to re-evaluate whether this amenity will be offered again. DO NOT place your discards outside the dumpster or in the grass around the private offices. Should you see any activity like that, please get the tag number and contact the HOA office at 205-314-5793. You can leave a message anonymously with the information if youd like. That would help us recoup money if we end up with additional fees again. Thanks to the all Eagle Point residents who made it to Monday nights meeting! We had far greater attendance than weve had in recent history, and the Board appreciates input from so many neighbors. Because the neighborhood survey results indicated that street parking was the top concern to be addressed, it was the main topic of the night. The general consensus is that wed like to address street parking issues before a tragedy occurs - like a child being hit because they jutted out from behind a parked car; or a house fire out of control because fire trucks cannot get through; or even a death because first responders cannot get to their destination quickly enough. We had representatives from Shelby County Schools transposition department, from Waste Pro, from North Shelby Fire District, and from Cahaba Valley Fire District. Each group represented shared how the high volume of street parking in Eagle Point affects the services they provide to Eagle Point. Our first responder services can be delayed by cars parked on the street. As a matter of fact, federal fire code mandates certain clearances on the street for fire trucks to pass. Many of the parked cars in Eagle Point violate this code. While fire department officials cannot issue citations for parking, law enforcement can. Even one car parked in a cul-de-sac impedes a fire trucks maneuvering capabilities. Waste Pro drivers are slowed down greatly trying to navigate our streets when parked cars make for narrow passage. Drivers efficiency is hindered by cars parked near garbage cans which necessitates the driver getting out of the truck to empty the cans. 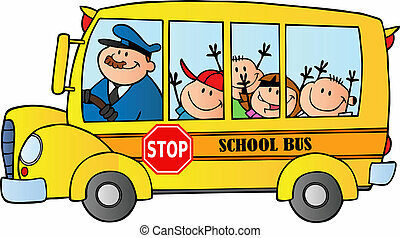 School buses cannot navigate narrow passes or curves where parked cars leave a blind spot. There are so many cars parked in some cul-de-sacs that buses cant pick up children near their homes; this means some children are walking much farther than they should have to walk to their bus stop. When bus drivers are trying to watch the road and maintain a safe environment with as many as 60-70 children on a bus, parked cars create a dangerous distraction for the driver. Besides the safety and service issues mentioned above, street parking inconveniences your neighbors in many cases. Being considerate of your neighbors would go a long way towards solving this problem! 1) Your HOA Board is going to work with the fire departments and the school transportation departments to identify dangerous curves and hills that could possibly be designated No Parking zones. 2) The HOA Board will be working with our management company to begin communication about enforcing long term street parking as covenant violations, subject to fines and other remedies, just as are any other violations. 3) The HOA Board encourages residents to communicate with your neighbors personally or to post timing details on social media when youre having an event where there will be cars parked on the street. You can even call the HOA office at 205-314-5793 (or email eaglepointhomeowners@gmail.com) with the details of your event, and the administrative assistant can share on social media for you. 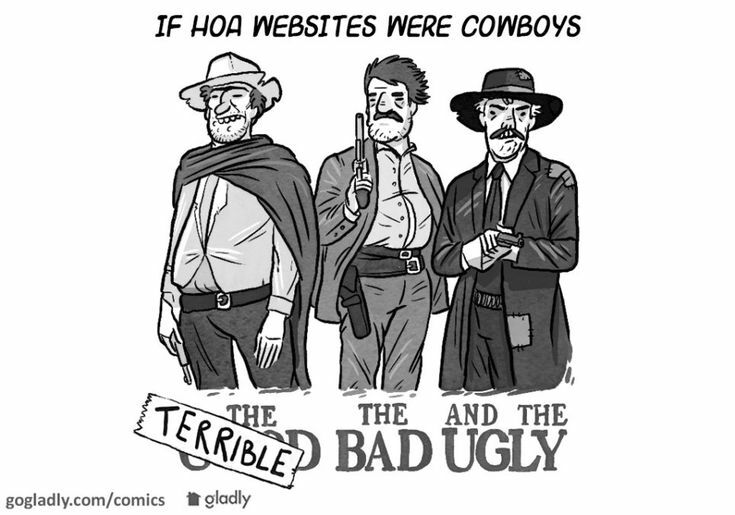 (This also lets the HOA Board know about event so you dont get a violation.) If you live in a place with high traffic volume, ask your guests to park on one side of the street, or even have them park in a remote location and carpool back to your house to reduce the number of cars. Again, the Board thanks everyone who came to the meeting and looks forward to our community working together to solve issues like this one! Your HOA Board heard you and changed the monthly meeting time to accommodate your needs! The next HOA meeting is on Monday, June 18 at 6:00PM. The meeting is being held in the Eagle Nest building, one of the old golf course buildings that is now part of Griffin Park. The meeting will be BYOC - bring your own chair! The space is air conditioned, but theres no seating provided. However, stay tuned in case we have to move it to the EP Pool on Monday. Please check our Web, newsletters that day and the Official FB page for updates. Survey results showed that street parking is the biggest concern of Eagle Point residents. Weve invited some guest speakers to talk about how street parking affects services in Eagle Point. Scheduled to attend are Scott Corley from WastePro, Chief Buddy Tyler from North Shelby Fire Department, and a representative from the Transportation Department of Shelby County Schools. Dont forget about Eagle Points Dumpster Day!! WastePro will drop off the dumpster on the afternoon of Friday, June 22 and pick the dumpster up early Monday, June 25. This is a great time to clean out basements, garages or anything else that needs tossing in your house. 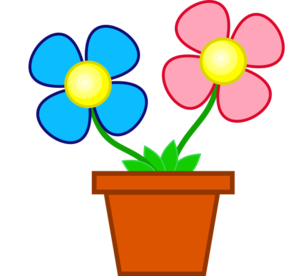 Look outside at flower beds, dead trees and anything you have been hiding and throw it away. Eagle Point lets fill this dumpster up!! A special shout out to the Finneys who own BAHA BURGER across from Lifetime Fitness. If you have not had one of BAHA'S awesome GOURMET BURGERS, you are missing out. Our management company decided on something different for lunch and ended up loving the food. Come to find out it is owned by some Eagle Point Residents!!! 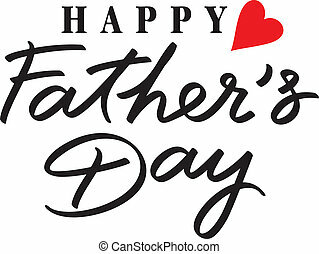 HAPPY FATHERS DAY to all Eagle Point DADS!!!! The Eagle Point HOA meeting has been moved to Monday, June 18th from 6PM-7PM. The location is still to be determined. The Hampton Inn has always been generous allowing us to use their facility but was unable to schedule us on this date. Please make note of the change and do not show up on June 11th or June 18 at The Hampton Inn. There will be another discussion about street parking. Get ready for the weekend of June 22-24. The HOA has rented a huge WASTEPRO dumpster for all residents. So get ready to clean out your closets, basements and garages of any items that need to be thrown away. Look outside your house at bushes, tree limbs, junk or anything you might want to take to the dump. The DUMPSTER will be located in the cul de sac of the office park by the Eagle Point Homeowners Office at 4000 Eagle Point Corporate Drive. Come on Eagle Point lets see if we can fill this dumpster up!!! Please note that if you have been putting debris or trash of any kind by the road at your residence, that you cannot put it by the street until it is scheduled to be picked up that day. There is nothing pretty about huge green bags, mounds of tree limbs or black bags filled with trash or lawn debris. Please do not set trash by the road until the day it is scheduled for pick up. Enjoy your weekend and keep yourself refreshed in this HOT weather!! The Eagle Point Homeowners meeting has been moved to MONDAY, JUNE 18th!! Please make this adjustment to your calendars. 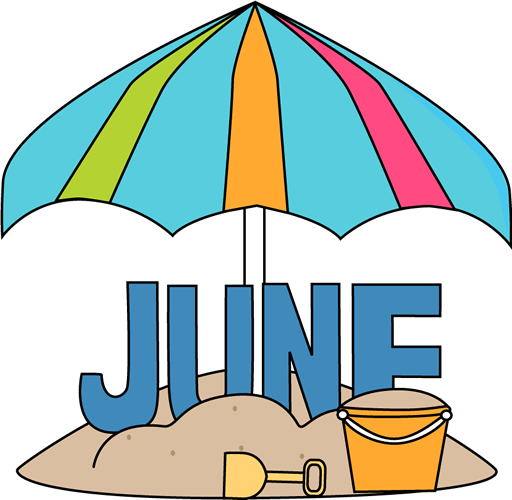 The meeting WILL NOT be the second Monday in June (June 11th) but has been changed and moved to MONDAY, JUNE 18th . The meeting will start at 6:00PM and end at 7:00PM. There will be an open discussion about parking on Eagle Point streets. 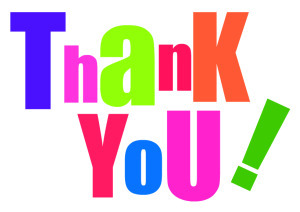 The HOA would again like to thank The Hampton Inn at Lee Branch for hosting our meeting!! School is nearing to an end and Summer is about to take off!! Be careful driving through Eagle Point. With kids being out of school there will be a lot more activity in yards and around the neighborhood. Thanks for working hard on your yards EP. Remember to trim and shape bushes in your front beds, around your house, and driveways. Also, remove weeds and weed vines that are growing up windows and brick. Dont forget about the weeds in the beds by the road and driveways. Make sure wood fences are not rotted away and maybe put a new coat of paint to make it look really fresh! Fences do not need to be missing any pieces of wood or iron. This is a great time to walk around your house and see what repairs need to be added to your to do list. Please remember when giving a party to make sure to inform your neighbors of possible guests parking on the street. Maybe, have someone outside directing traffic and making sure these guests park only on one side of the street and put as many cars in your driveway as possible. Also, please keep noise to a minimum. Your neighbors want to enjoy the outside and their patios but loud music and wild guests can cause a disruption to their enjoyment. BE A GOOD NEIGHBOR! Eagle Point holds GARAGE SALES twice a year. The Next GARAGE SALE will be September 29, 2018. This is the only time the HOA allows garage sales. Please do not have a garage sale, or moving sale, etc. outside of the dates designated by the HOA. The HOA has noticed several lots in Eagle Point are beginning to show signs of neighbors dumping trash, lumber, junk, bushes and yard debris. DO NOT DUMP on property that does not belong to you. This includes not throwing trash or debris in the office dumpsters at the EP Office Park. Several neighbors have cameras and the Shelby County Sheriffs Office is looking into dumping. BE A GOOD NEIGHBOR and take your garbage, etc. to a certified dump site! The next HOA Meeting will June 11, 2018 at 6PM at The Hampton Inn in Lee Branch. There will be an open discussion on street parking. Please make plans to attend. The meeting will begin at 6PM and end promptly at 7PM. Hope everyone has had a happy start to their week. The next EP Homeowners meeting will be Monday, May 14th at 5:30pm at the Hampton Inn in Lee Branch. The EPHOA would like to thank the Hampton Inn again for hosting our monthly HOA meetings. We hope to see you there!! Waste Pro apologizes for not picking up the garbage on Tuesday, May 8th. They have had several trucks down with mechanical problems, but the head manager has promised all garbage should be picked up by this afternoon. Please let the HOA Admin know if your garbage has not been picked up by today (after 9pm), Wednesday, May 9th. Call the office tomorrow at 205-314-5793. We have had several calls come into The Eagle Point HOA office, again, about neighborhood pets! Please remember if you are walking your sweet pet, carry a disposable bag with you. Several neighbors have complained about having to pick up pet waste on their property. Also, please do not let your dog roam around in other neighbors yards to do their business. Shelby County does have a "leash law" and unleashed pets are subject to be picked up by Animal Control. Many neighbors do not like cleaning up after your pet. If you see your pet relieve themselves in a neighbors yard, go get a shovel or bag and clean up after them. I am sure your neighbor would be very understanding if the waste disappeared immediately! Certain behaviors that we think are cute from our lovable pets are not cute to others. Also, please keep your pets in your own yard. Let's keep our furry friends lovable...Be a Good Neighbor!! Thank you to everyone who responded to the survey last week. There were many constructive and thoughtful comments, and a few not so thoughtful. Your HOA Board would like to offer the following details and clarifications. 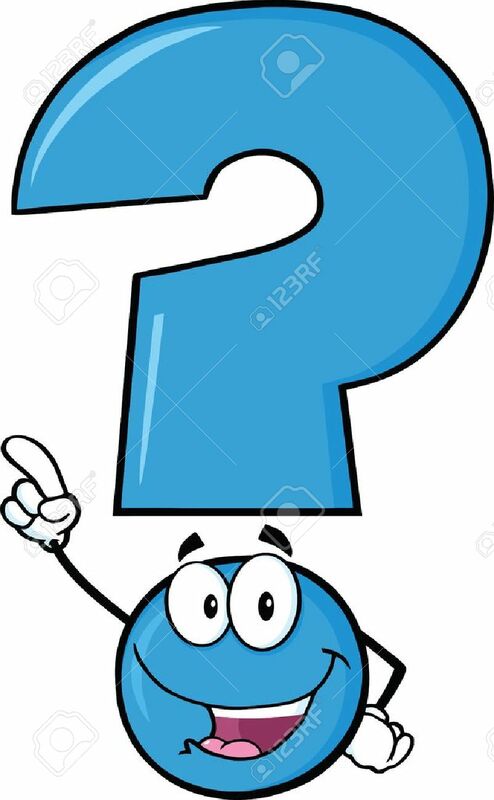 The Board will turn the survey back on for 48 hours starting Friday afternoon at 5:00.
o At no point has it been proposed or suggested that the HOA would be in anyway responsible for the pool in Griffin Park. 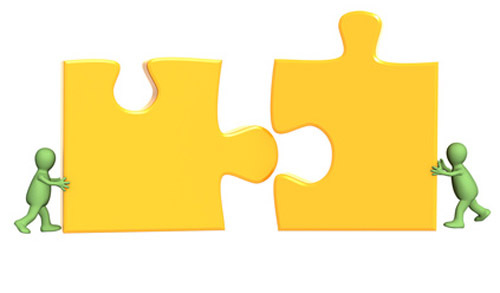 From the beginning the pool is designed to be a separate entity from the HOA. There will be a pool board to administer and maintain the pool in Griffin Park just like the arrangement with EPHOA and EPST. There were several comments about the dues for Griffin Park being $1000 a year. The $1000 is a one-time amenity fee to completely pay for the pool so it starts out debt free. As a resident of Eagle Point you may choose to join the pool at Griffin Park just like you may choose to join the pool at Eagle Point Proper. o There were several comments and questions about the dues increase. The dues are anticipated to increase TO $375 over the next 4 years, not increase BY $375. o There is no planned increase to dues for fiscal year 2019. Landscaping upgrades at The Landing and The Crest as well as freshening at 119 entrance. 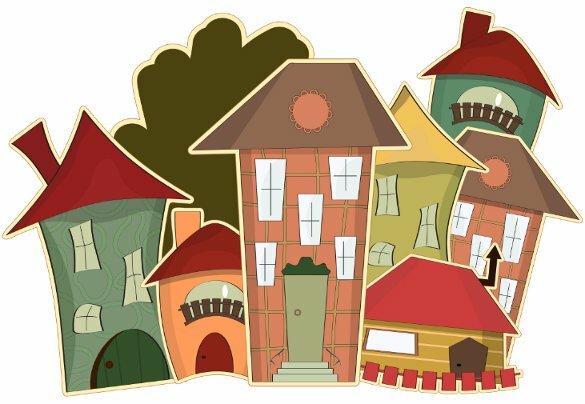 o As many homeowners stated, the school system and supply and demand do more to increase property values than membership in an HOA. While Eagle Point was not designed for, and our road width cannot accommodate, sidewalks, proximity to Griffin Park and its characteristics is a plus for potential Eagle Point buyers. Given the choice between new construction at a much higher price point and a traditional brick home in an active, improving market, Eagle Point values should be looking up. Hope it has been a great week! Lewis Brooks, the current Assistant Superintendent of Administration for the Shelby County Board of Education will be attending the Monday's meeting to discuss school safety. Dr. Brooks supervises all aspects of student services including safety and security. Dr. Brooks and a current Shelby County Sheriffs School Resource Officer (SRO) will be attending the meeting to discuss the security measures they are taking with the recent school shootings. This will be a great opportunity for residents to ask questions and voice their concerns about their childrens safety in school. The meeting will be Monday, March 12th at 5:30PM at The Hampton Inn in Lee Branch. Thank you Hampton Inn for hosting our monthly meetingsplease consider them when having out of town guests. The Hampton Inn gives Eagle Point residents special discounts on hotel and meeting rooms. 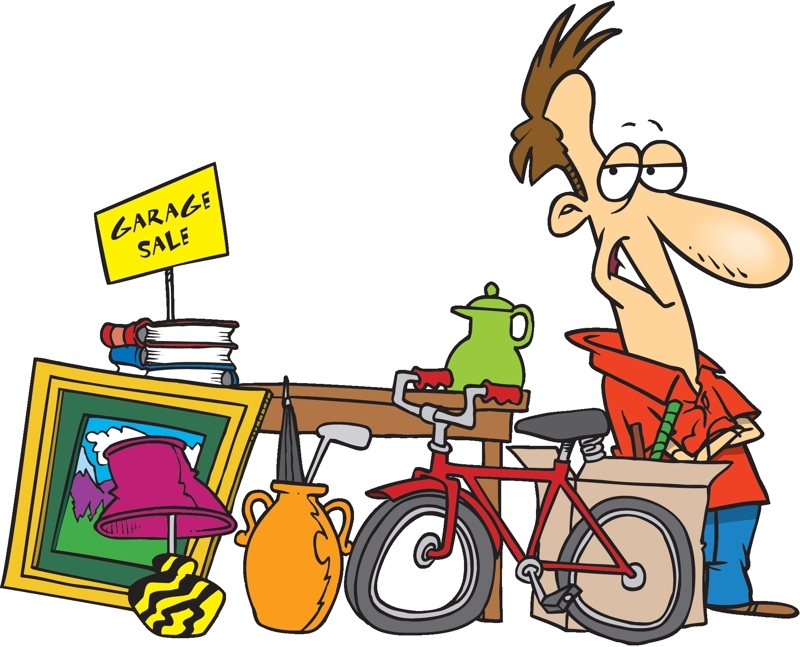 The Eagle Point Garage Sale is about 4 weeks away and will be held on Saturday, April 14th. 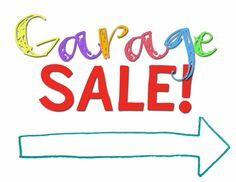 Dont forget to clean out those closets and go through all of the items in your basement and garages for the SALE!!! Make sure you spread the word about the Garage Sale to all your friends and family. Please NOTE that GARAGE SALES are only allowed in Eagle Point in the Spring and in the Fall when it is a part of the neighborhood sale. All other Garage Sales are not allowed except for the neighborhood sale! Signs are not allowed in Eagle Point. If you have a sign anywhere in your yard; please remove it. (School signs, political signs, painting signs, grass signs or any signs, etc. are some examples of signs that are not allowed.) Please do not put your signs at the entrances to Eagle Point or at any intersection or street cornerBe A Good Neighbor and keep Eagle Point looking Beautiful. Spring is here and the emergence of grass is starting to appear all over Eagle Point. However, a lot of yards have weeds that need to be taken care of before getting out of hand. Please make sure you are maintaining your yard monthly with weed control. If you do not have a service that services your yard, you might want to consider getting one. Several companies have great monthly inexpensive service plans and this would be one less thing you have to worry with. Have a great weekend EAGLE POINT!!! The HOA hopes you have a fun and safe weekend, especially with this being the last weekend in February. Spring is just around the corner and will be here in no time. Trees are already starting to bloom on Eagle Point Drive. This is a great time to start planning spring cleaning of your garages, flower beds and yards (don't forget to look for dead tree limbs)!! REMINDER to remove your garbage cans from the street on the day that GARBAGE is PICKED UP! Please remember that there are NO yard signs allowed in Eagle Point. The HOA understands that residents want to show support for your favorite candidates with the upcoming elections in June; but try thinking of creative ways to help instead of putting signs in your yard. Residents on Eagle Wood Court and Eagle Point Drive might have noticed dump trucks going back and forth from this street to Griffin Park. High Point is currently developing a street at the end of Eagle Wood Court and the dump trucks are having to use Eagle Point Drive because this street is the only way to get to this section. The dump truck drivers apologize about the start time and promise they are trying to get everything done quickly and without speeding! Please call the HOA if you notice construction trucks using roads in Eagle Point. Most know they are supposed to come and go on Farley Lane but lately the HOA is having to remind them. The Eagle Point Garage Sale will be Saturday, April 14th. Get your red balloons ready and start planning how and what items you want to put up for SALE!!!! 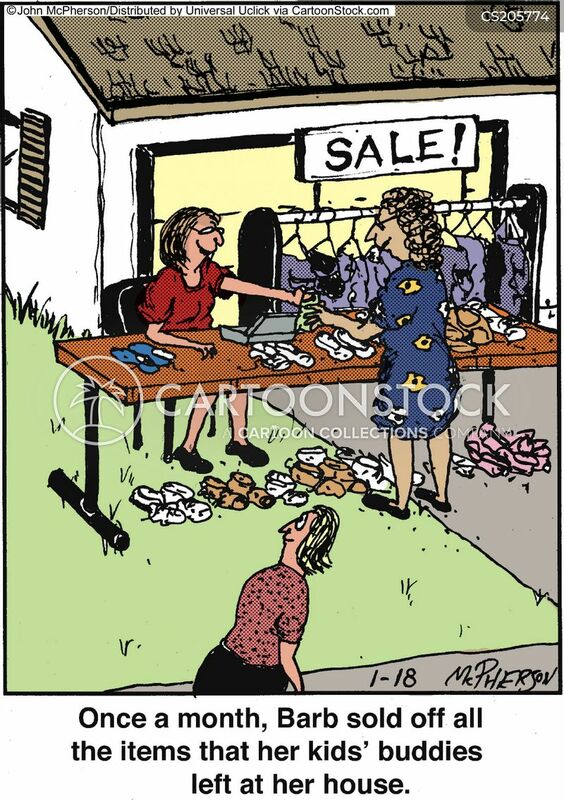 The HOA will take care of the advertising but it is always great for homeowners to share information about the Garage Sale with their friends and family. The HOA has had several complaints from neighbors over the past several weeks about dogs continually barking throughout the day and night. Please be a Good Neighbor and remember that there are 706 homes in Eagle Point and everyone has a different schedule. If you leave your residence make sure your pets are put up. The BARKING does not bother you because you are not at home to hear it. Also, if you hear your dog barking, please remove your pet until they settle down. Eagle Point is a pet friendly neighborhoodlets keep it that way! It was nice to have some warmer weather today. The monthly Eagle Point HOA meeting will be Monday, February 12th, 2018 at 5:30 PM. The Hampton Inn at Lee Branch was kind enough to host us again and they LOVE giving EP residents great deals on meeting/hotel rooms. It's a great way to meet your neighbors and be a part of your community. Hope to see you there!!! Please remember to remove your garbage cans from the street on the day that garbage is picked up. The HOA understands that there are circumstances that can delay this because your garbage has not been picked up from Waste Pro. But remember to just pull the garbage can to your house when you get home for the night. The Eagle Point Spring Garage Sale will be Saturday, April 14, 2018. So mark your calendars and start planning on how to make the BIG $$$! Remember your junk might be someone elses treasures!! Also, don't forget the RED Balloons. Hope you have an awesome weekend Eagle Point!!! We have had a report of a rabid raccoon removed from The Crest area today. The raccoon was wandering around for a couple of days in The Crest neighborhood. It appeared drunk, walking around in circles, and lethargic. A Sheriffs Deputy took care of the situation but please be watchful of yourself, children and pets. 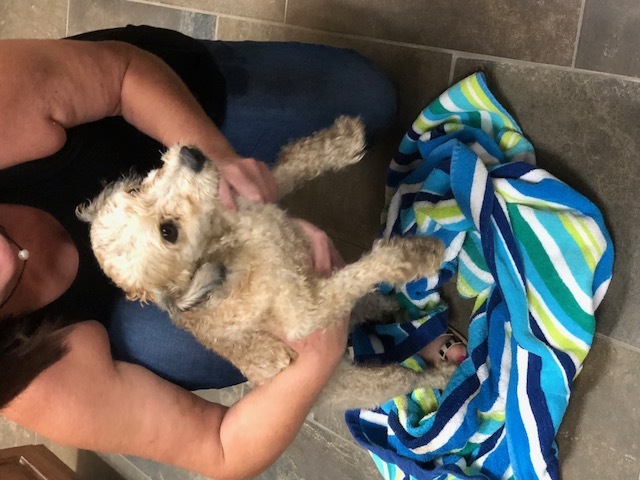 If you see any animal behaving strangely please notify Animal Control at 205-669-8766 or if they are unavailable contact the Shelby County Sheriffs Office at 205-669-4181 and please also send an email to the Eagle Point HOA office at eaglepointhomeowners@gmail.com or call the office at 205-314-5793 . Please do not get near an animal that you think is acting strangely. Please look in your mailbox for the Annual Eagle Point Homeowners Association Dues letter. You will find in this mailing a letter from the HOA President, the proposed budget for 2018, your annual invoice (green paper), and a ballot (blue card). On the blue card, please, double check your contact information and make sure it is correct. 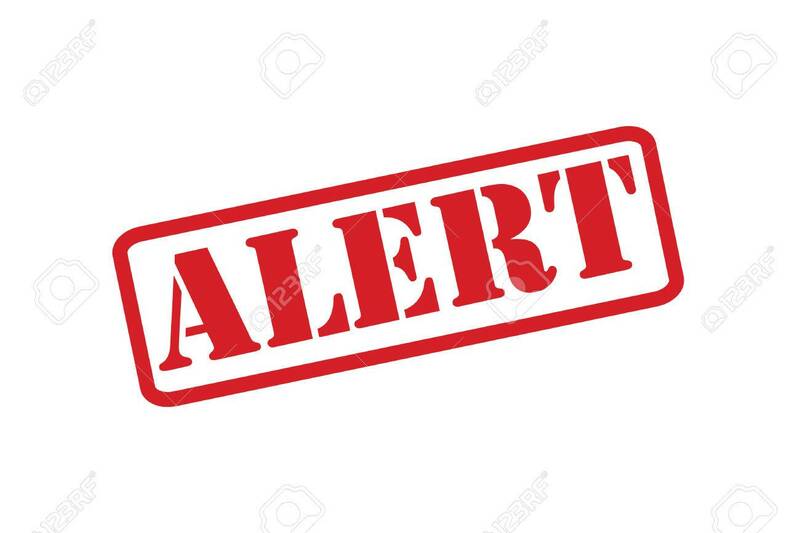 On this blue card, check the boxes if you would like to receive Alerts from the Shelby County Sheriff's office in form of a text or an email. Please list your mobile number if you would like to receive a text or your email if you would like to receive it that way. The HOA sends out weekly communication in the form of a newsletter, The Eagle Pointer. This is a great way to know and understand what is going on in the neighborhood! Also, on this card there is a ballot, please vote by checking the boxes by the names listed and return with your payment. The Annual dues this year are $275.00. You will find a green invoice that lists the 2018 EPHOA dues and also a list of other fees if you are not up to date. Return your payment with the blue card and/or green invoice by close of business on Wednesday, January 31, 2018. Payment after this date and time will be considered late and your next invoice will include a $50 late fee. If you do not receive this mailing by next week, please contact the HOA Office at eaglepointhomeowners@gmail.com. You are responsible for payment whether you receive the mailing or not. The EPHOA hopes you are enjoying the Christmas Holidays with your family and friends!! Hope you and your family are having a blast making snowmen and playing in the snow! Please send us your snow pics so we can put on the website to eaglepointhomeowners@gmail.com. Cookies with Santa is from 4-7 PM on Sunday, December 10th. For those who would still like to still book a time with your family to ride the CARRIAGEthere are still spots available from 5PM -7PM. Email the HOA office at eaglepointhomeowners@gmail.com. Also, if you love to BAKE, feel free to whip up a special dessert up for the Cookies with Santa event! 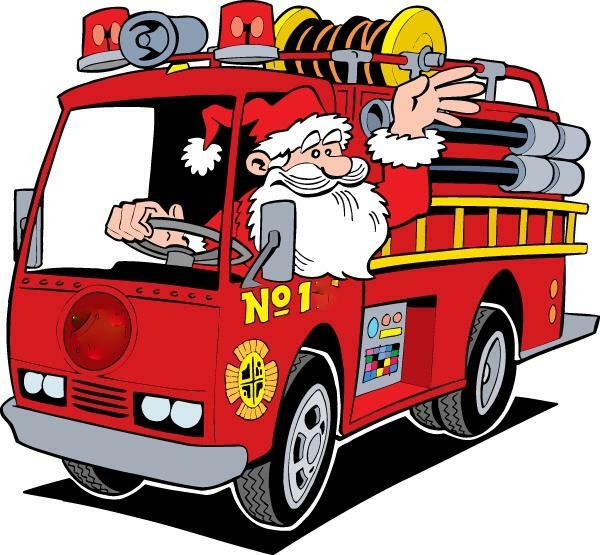 Cahaba Valley Fire will be in Eagle Point on December 23 at 8:30 AM bringing Santa through the neighborhood!!! Santa will be throwing candy to the children. So bring your kids and WAVE as he passes. Click here to see his route. HOLIDAY OFFERS!! We are excited to announce Holiday Offers for the Eagle Point Swim & Tennis Club. CURRENT MEMBERS: The first 30 members to pay 2018 annual fees by January 30th receive a $25 Snack Shack Gift Card - which is a great stocking stuffer! (Reminder - 2018 dues are $550 for residents, $575 for non-residents). You will also be entered to win a Free Pool Party for up to 50 guests! NEW MEMBERS will receive half off the regularly $500 Initiation Fee if they join before January 30th. They will also receive a $25 Snack Shack Gift Card and Enter to win the pool party. Members, remember, you will receive a $100 referral fee if a family you recommend joins! Also, remember we have payment options! Make checks payable to EPST. Drop off c/o Jennifer Wilson at 1075 Eagle Hollow Drive. Paypal options coming soon! Email us at info@eaglepointswimandtennis.com for questions! Santa Claus is coming to Eagle Point, and can't wait to eat cookies with the Eagle Point Kiddos! Reservations not required for the cookies...just come and have a merry time and don't forget your camera for that special Christmas Shot! We will need BAKED GOODS for the event. Please send an email to eaglepointhomeowners@gmail.com to let us know what you can bring. Our goal in scheduling is to have as many children ride as possible. Adult reservations may be limited to allow more children to ride. If necessary, we will limit one adult per family. *This event will not be rescheduled if we have bad weather. We need VOLUNTEERS for this event. If you would like to help, please email the HOA at eaglepointhomeowners@gmail.com. For our high school volunteers, you will receive Give Me Five credit. And you thought you were the ONLY ONE receiving a LETTER?? The HOA has noticed several houses with signs in their yards. Please realize that there are NO signs allowed in ANY Yard in Eagle Point. (That means no political, sport sign ups or community event signs) If you are one of the houses that has a sign in your yard...please remove it! Thank You!! Please remember to be very careful tonight as you drive through the neighborhood with kids and families Trick or Treating! Drive slowly and be on the lookout for anything that looks suspicious. Have fun and enjoy the HOLIDAY! CONGRATS to The Averys!!! Ben and Lurenda Avery won the Best Decorated Halloween House in the neighborhood. If you have not seen their awesome house...go by Eagle Crest Court! Thanks to the Melting Pot for the $100 Gift Card!!! 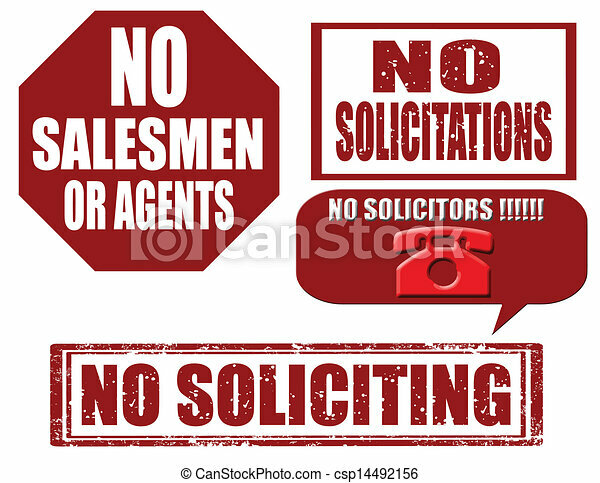 If you are selling your house, or plan to sell your house, please have your agent call the HOA Office at 205-314-5793 if they have any questions about the do's and don'ts for the neighborhood. Please make sure your agent checks with the HOA before putting up signs around Eagle Point. Please remember to keep your sweet pets in your own yard. Many pets are roaming free throughout the neighborhood and several have almost been hit this week. Also, if your pet happens have an accident in a neighbors yard ...PLEASE CLEAN UP AFTER YOUR PET!!! Your neighbors will greatly appreciate this. Have a great night Eagle Point!! Loving this Cooler Weather, Eagle Point!!! Eagle Point Halloween will be celebrated on Tuesday, October 31st. Please be mindful that a lot of people will be in the neighborhood enjoying Trick or Treating with family and friends. Be on the lookout for anything that seems out of the ordinary! Also, drive safely and watch out for kids. Leaves are continuing to fall from the trees into yards. Remember to keep blowing the leaves off lawns so they will not damage the grass this winter. Make sure that all bushes in beds around your house are TRIMMED/SHAPED before the season really gets cold. Let's keep Eagle Point looking like a BEAUTIFUL, GROOMED and NEAT neighborhood! Trick or Treat so others can eat - After lunch on Saturday, October 28th, we will be collecting canned goods to donate to the Oak Mountain Mission Ministries. Please leave next to your mailbox in a plastic grocery bag. (NOTE: no expired items please!!) Thanks for the support Eagle Point!!!! Please contact the Eagle Point HOA if you would like to send information out to the community. Flyers taped to mailboxes or put in mailboxes are highly discouraged. Please email information or notices to our Admin at Eaglepointhomeowners@gmail.com and the information can be put in THE EAGLE POINTER! The HOA called Alabama Power about the outages this weekend...below is what was said: Power supply is fed into a particular section. This section could be your entire neighborhood or part of your street. Power lines are fed in or have 3 different phases of lines. Your house or street power depends on the part of the line you are fed off of. (So your neighbor or the street over could have power because they are on a different line) During times of mass storms and outages...like this past weekend...the power company receives a large amount of calls and power outages by phone and internet. If there is a report of an outage or a line being down the power company has to check each one. This is a huge undertaking so they do not give or estimate the time that power will be turned back on. The power crews have to wait for the severe weather to subside before being able to investigate the outage. Once the outage is investigated then the correct crews for that particular outage are sent out. 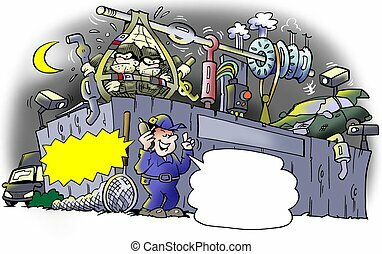 In any type of outage, engineers always see if they can redirect the power source to get the power back on. Once the problem is narrowed down and if they cannot redirect the outage for that particular problem, those people will remain without power until they can get the problem fixed. Sometimes it is not a quick solve and with a mass outage it sometimes takes longer. However, the Alabama Power Rep said please call the OUTAGE REPORT LINE for updates at 1-800-888-2726! Please call the HOA office if you have a concern!!! The HOA is busy working to make sure that all Eagle Point residents and homeowners are taken care of. Please do not mess with the irrigation systems by in Eagle Point. Again someone has turned off the irrigation systems on both the Highway 119 and 280 entrances. Landscaping in Eagle Point is well maintained by NatureScape, when the water is turned off, then the flowers and shrubs are not getting the appropriate water. Turning the water off could cost you and residents $$$ for replacements! Please let the HOA office know if you see anyone suspicious at these entrances. A Shelby County Sheriff's Deputy is aware of the situation and is looking into the problem. Get your costumes ready for Trick or Treating on Tuesday, October 31st. This is huge in several sections of Eagle Point. Please make sure you use caution when driving through the neighborhood and also be aware of any odd situation. We want to make sure that Eagle Point remains a safe, fun and kid friendly neighborhood! Fall is approaching, please make sure that you are Trimming and Shaping your bushes and shrubs. Also, this is a great time to remove any dead bushes, trees or tree limbs that are on your property (so just do a quick check around your beds)!! Please continuing to cut your grass frequently. With Fall approaching, leaves will be falling from the trees, make sure you blow the leaves off of your lawns and do not blow into the Eagle Point Streets. Eagle Point High School Girl needed to help a neighbor go to the grocery store and carry/put up groceries at her home. Service Credit hours available, please call The HOA office at 205-314-5793 for more information. Red Balloons are a must because The Eagle Point HOA Garage Sale will be Saturday, September 9th. So get your bargaining skills ready and start cleaning out what others will think of as treasures!! Eagle Point if you have questions or concerns, please call the HOA office at 205-314-5793 or email at eaglepointhomeowners@gmail.com. We would love to answer your questions.Keep in mind that information for unofficial sources may cause confusion. Today is Trash DAY! The Garbage trucks come every Tuesday as early as 5:40 AM in some parts of the neighborhood. Please remember toremove yourTRASH CANS from the street todayand put them out of sight. Due in the HOA office by 5:00 January 31st. For older posts see the archives in the sidebar.